More than 400 construction professionals gathered at Sandia Resort on March 9th to celebrate the New Mexico construction industry equivalent of the Academy Awards - the AGC of New Mexico “Best Buildings 2013.” Awards were presented in several categories and we were honored to receive a Best Buildings designation for projects from $2 million to $5 million in size. Our award winner was the new headquarters of the Gardner Zemke Company. Each project was graded on the following criteria: meeting the challenges of a difficult job, excellence in project management, innovation of techniques and materials, state-of-the-art advancement, sensitivity to the environment and surroundings, excellence in client service. This marks the sixth Best Buildings award R&R has won. The Gardner Zemke Company is a large electrical/mechanical contractor headquartered in Albuquerque. Founded in 1965, the firm performs projects throughout twelve western states. Five years ago, Gardner Zemke began a plan to consolidate all its operations into one facility. In late 2012, they purchased a property and set in motion plans to select a design-build contractor for the new facility. We were ecstatic to have been selected over a competitive group of design-builders, and the project has just recently been completed. 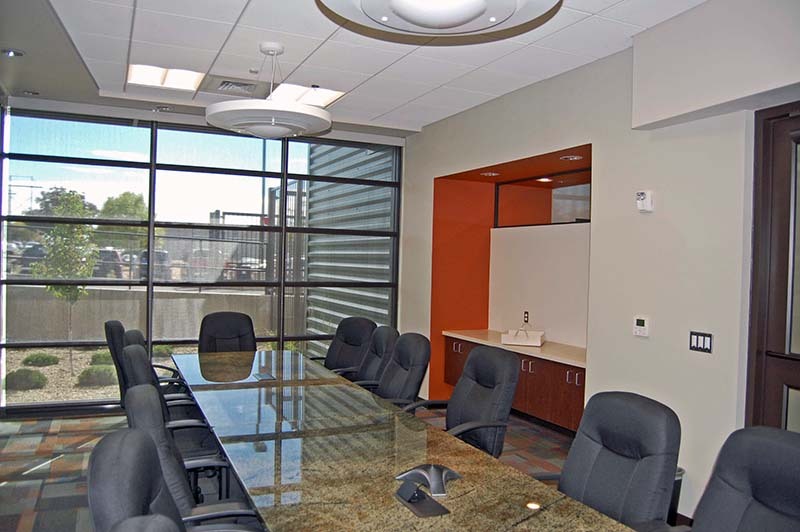 We took the existing 23,000-square-foot building and added 6,700 square feet of modern, first class office space. 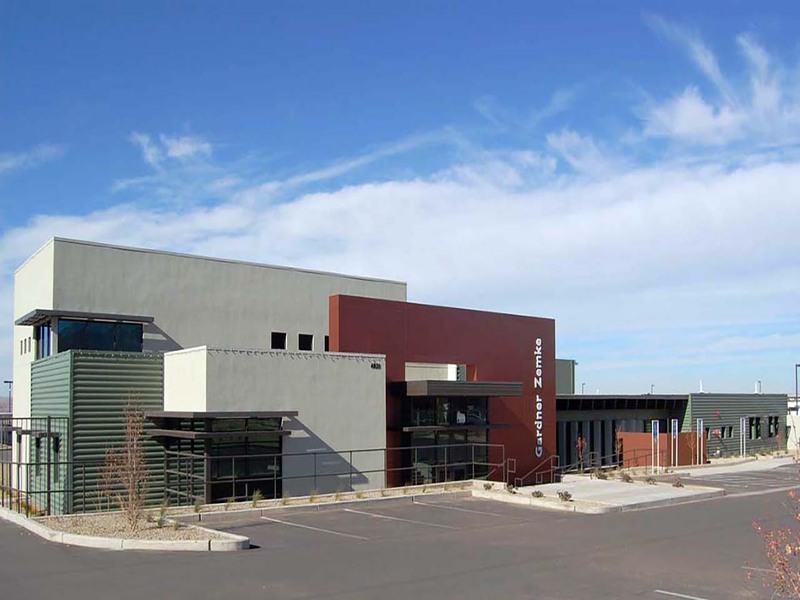 The existing structure, which was a low, precast concrete building, was remodeled into 7,500 square feet of high tech space for the project management department. The scope of work also included a new 12,000-square-foot sheet metal fabrication shop, as well as 5,000 square feet of second floor prefab space in the existing shop area. Claudio Vigil Associates of Albuquerque and project architect Ed Avila did a fantastic job on the design, transforming the old spaces into something modern and efficient. We are quite proud of this project, and regard it as a jewel in our portfolio. Our client, Gardner Zemke, and their project manager, Tom Gorman, were a joy to work with. They love their new space and are seeing big payoffs from the move. Considering an expansion or new construction? Not sure where to get started? We would love to hear about your project ideas. Katy was inducted in the business when she received her first hard hat at age 8. She has 18 years' experience in marketing and technical writing in the commercial construction and architectual/engineering industries. She has been with Richardson & Richardson as Marketing Director for four years. Her favorite project is the Lofts at Old Albuquerque High as she is particularly proud of restoring the building's exterior hardware. She is an AED Ambassador and is a member of Philanthropic Educational Organization (P.E.O. ), an international group that raises money for women’s education. Richardson & Richardson is dedicated to providing efficient and cost-effective solutions to meet the challenges of traditional and non-traditional construction projects. We have a diverse team of professionals that are ready to go the extra mile to help our clients achieve the finished product they desire. We have been meeting and exceeding the needs and expectations of our clients since 1950.